The Emerald Isle is full of unimaginable beauty; rolling green hills, a rugged coastline, historic sites, and some of the most gregarious people on the planet. There is something otherworldly and mythic about Ireland. Pursuing your studies here will give you the unique opportunity to explore lush valleys, historic castles and monasteries, and beautiful cities. You’ll get the chance to live in a place steeped in history, a rich culture, and longstanding traditions. 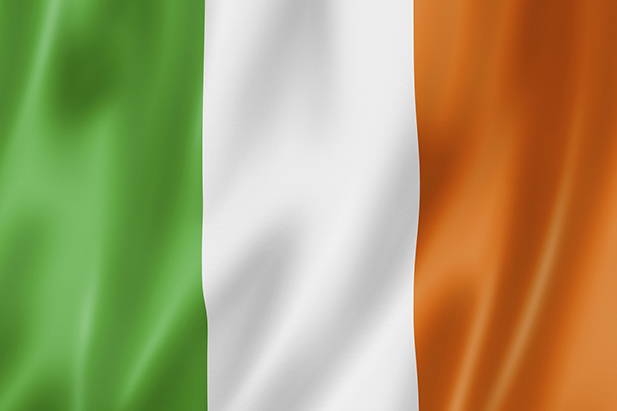 Ireland is also an educational hub and is a country dedicated to social, political, and economic progress. For any student looking to study in abroad, Ireland holds a lot of promise. Ireland is a very popular choice for international students, and when you think about it, it’s really no surprise, why? Here, you’ll find a number of universities which rank very well on the international level and a wide selection of options when it comes to disciplines to pursue. Not only does Ireland offer international students exceptional higher education choices and opportunities, it’s also a beautiful country rich with history, culture, and traditions. Many students are drawn to the prospect of being able to earn a degree while getting the chance to experience life in an exciting new country. There are seven public universities in the country, all of which are highly ranked globally. There are also several institutes of technology, as well as private-sector colleges such as the Dublin Business School. Located in the capital of Ireland, UCD is a large research university which boasts the largest body of international students in the country. It is also the second most highly ranked Irish university in the world coming in at 154 on the QS World University Rankings 2015/16. The climate in Ireland is strongly influenced by the Atlantic Ocean. Therefore, there aren’t any extreme temperatures here, especially not those which are experienced by countries at a similar latitude as Ireland. The North Atlantic Drift current is a warm water current which also affects Ireland; it keeps sea temperatures around the island mild. Furthermore, the high cliffs, mountains, and hills around coast shield the mainland from strong winds coming from the ocean. Spring and summer are very pleasant, with July and August being the warmest months. During this time, there is about 18 hours of sunlight and it typically gets dark after 11pm. Autumn is also pleasant. In winter, temperatures may occasionally dip below freezing but not frequently. It also barely snows here. As a student in Ireland, you can purchase a Student Travelcard. This is a nation-wide student ID and discount card. On many of the major transportation services, students with this card get up to 40% off. English is predominantly spoken in Ireland. However, Irish (the Gaelic language or Gaelige) and Ullans (Ulster-Scots) are still regionally spoken throughout the country. Both languages are culturally significant, and, as you’ll see, still play a major role in Ireland. When you go out to the pub, attend festivals, visit shops, walk down the streets and see street or road signs, you’ll see both English and Irish being used. One unique thing you may notice is the use of Hiberno-English, a unique dialect which is a blend of Irish grammatical styling and the English language. It is estimated that students living in Ireland will need an average of €7,000 and €11,000 per year. Your living costs are determined by your individual lifestyle, where you choose to live, the type of accommodation you stay in, etc. If you’re planning to stay in Ireland, you should get yourself health insurance. In the event that you need medical care, having health insurance will be very beneficial. Without it, the cost of hospitalization and treatment will be tremendous. Health insurance is also a prerequisite when you go to register for your residency in Ireland at the Garda National Immigration Bureau. During your stay in Ireland, you’ll get the chance to explore this beautiful country and all of its wonders. Don’t be fooled by its size; Ireland may seem like just a small island, but contained within its borders are some pretty incredible things. For students who wish to study in Ireland, having a passport is an absolute necessity. If you are an American or Canadian citizen, you do not need a student visa in order to study in Ireland. For non EU nationals, who are going to be staying in Ireland for more than 90 days, you do need to register with the local Garda National Immigration Bureau. This student residency registration needs to be done within a week of your arrival to Ireland. Studying Abroad in Ireland is guaranteed to be a rewarding experience. You can enroll in world class programs and get an education in one of the most progressive countries in the world. What’s more, while studying in Ireland, you’ll have the unique opportunity to explore the country and all that it has to offer. Although Ireland may seem like a small island, there is enough to do here to keep you busy and engaged for a long time. If the luck of the Irish is on your side, your study abroad experience in Ireland will be nothing short of fantastic.